Potato supplier Albert Bartlett is growing largely forgotten root vegetable salsify for the first time, hoping to spur a comeback for the largely forgotten root vegetable. From 8 November the Airdrie-based company will begin supplying 100 Waitrose stores with the niche product, which will be presented on a plastic tray in a branded flow wrap pack. Popular in Victorian England for its versatility, especially during the winter, the vegetable subsequently fell out of favour with British cooks and is now largely unknown outside high-end foodie circles. In continental Europe, by contrast, the vegetable is more widely used, with production centred in France and Italy since the 17thcentury. Now Albert Bartlett is trying to reintroduce salsify to UK shoppers, growing its main crop of black salsify in Cambridgeshire and a small volume of white in the sandy soils of Ayrshire. Waitrose vegetable buyer Gary Grace said: "We are excited to be introducing Albert Bartlett salsify to our range of root vegetables in a number of our branches. 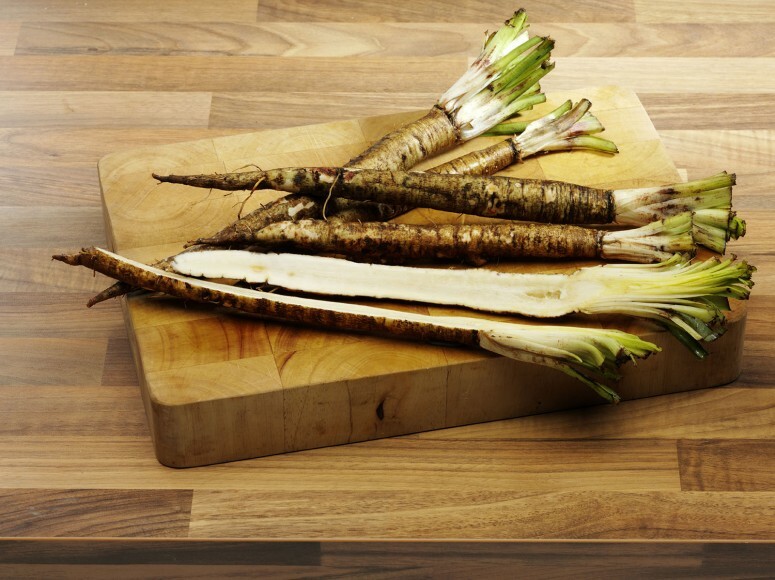 “Over recent years we have seen many of the traditional cuts of meat come back into favour and we hope that customers will feel the same about salsify and enjoy this vegetable once again." Part of the daisy family, salsify grows to around 120cm tall with grass-like leaves and an edible purple-pink flower. With a harvest from late September to December, there are two types – black and white – and its subtle flavour is a little like a mild artichoke, perhaps with a trace of liquorice. When cooked, some even claim to detect a hint of oysters. When it comes to preparing the root vegetable, salsify can be treated like most other starchy foods, according to the Great British Chefs website, with boiling, sautéing, frying, grating and roasting all possible. The roots can also be sautéed, baked, puréed or creamed to make soup, or finely grated or chopped and eaten raw. Chefs often use it to add some texture to a dish. Albert Bartlett brand ambassador and Michelin-starred chef Michel Roux Jr serves salsify in his London restaurant Le Gavroche and it appears seasonally on the menus of all of the Roux family restaurants.